Last week, members of the Data Vault project got together for the kickoff meeting. 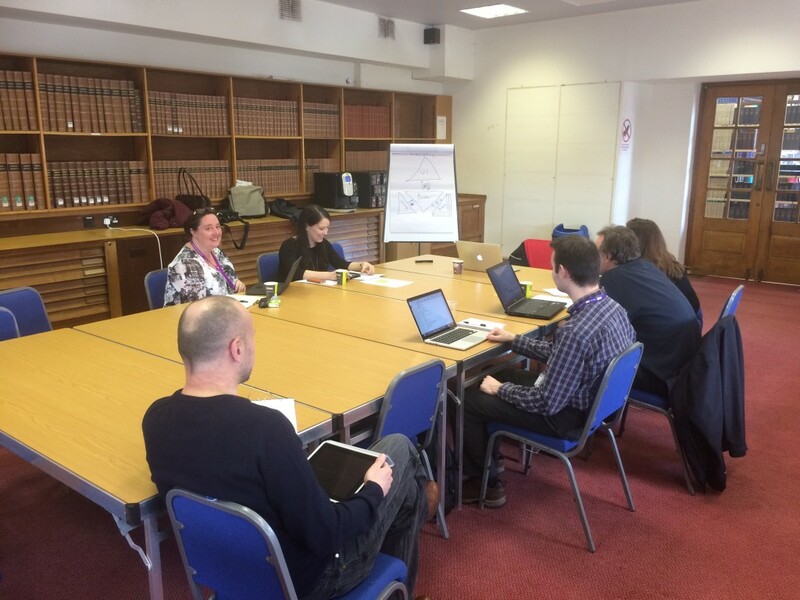 Hosted at the University of Manchester Library, we were able to discuss the project plan, milestones for the three month project, agreed terminology for parts of the system, and started to assign tasks to project members for the first month. At the end of month three, we will prepare for the second Jisc Data Spring sandpit workshop where we will seek to extend the project to take the prototype and develop it into a full system. Look out for further blog posts during the month as we undertake the definitions and investigations!